We are enjoying a lot of butterfly fun at our house right now. We rescued a monarch from the middle of the road this past week and have been watching a friend raise some monarchs from egg to chrysalis. Today I want to share some ideas that go along with that beautiful transformation from caterpillar to butterfly that will get you MOVING and enjoying MUSIC too! It's a miracle every time! This movie shows the transformation of of a butterfly from an egg to a monarch butterfly. It's perfect to watch before learning and singing the songs below. 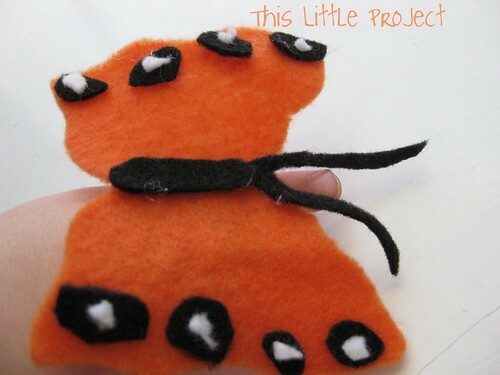 We made some fun Butterfly Finger Puppets to fly around the room. 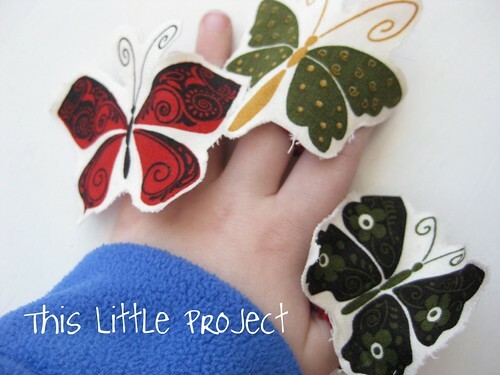 By using pieces from a glove they are easy to make and slip on little fingers. For directions to make yours, go here. Here is another song about the butterfly life cycle-no pictures, but the kids would love coloring this one to go with it. Just cut out each piece and glue to it a popsicle stick and hold it up for each part of the song. I love this way of acting out the life cycle. 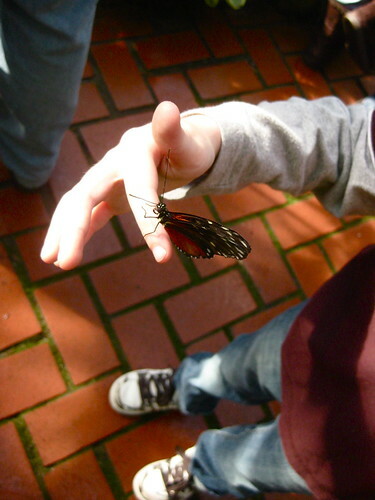 You just need a blanket, some butterfly wings, and some "leaves to eat". This is a wonderful way to incorporate movement into learning. A Snack Craft! is a fun way to do some hands-on learning. 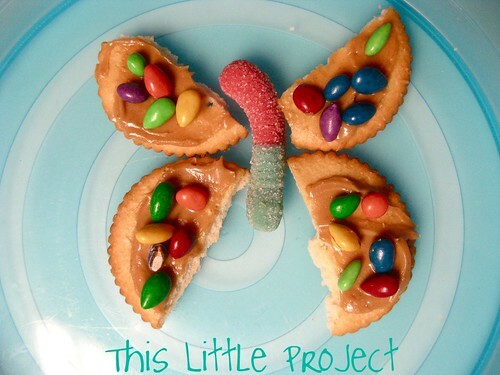 This gummy worm is the caterpillar and then the kids turn him into a butterfly. For peanut allergies, substitute marshmallow cream for the peanut butter spread. Directions here. 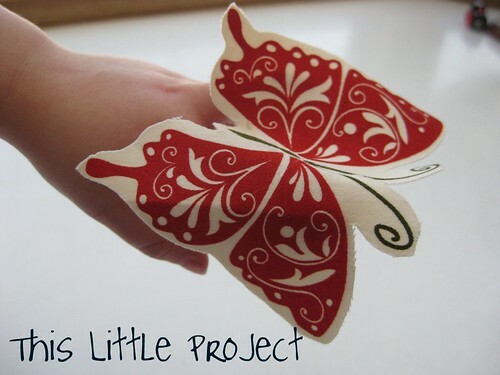 How do you learn about butterflies and the world around you? I love to hear your ideas!